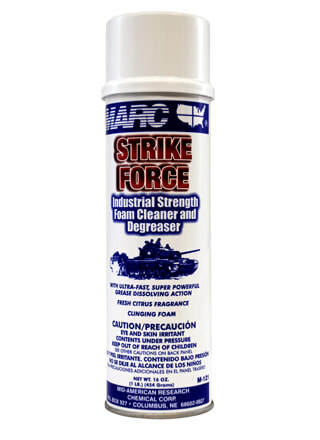 This is an industrial-strength foam cleaner and degreaser with ultra-fast, super powerful grease-dissolving action. Strike Force is a clinging foam with a fresh citrus fragrance and non-flammable spray. Use to clean equipment and surfaces.